Note générale : The aim of this article is to provide an exploratory analysis of the landscape of web archiving activities in Europe. Our contribution, based on desk research, and complemented with data from interviews with representatives of European heritage institutions, provides a descriptive overview of the state-of-the-art of national web archiving in Europe. It is written for a broad interdisciplinary audience, including cultural heritage professionals, IT specialists and managers, and humanities and social science researchers. The legal, technical and operational aspects of web archiving and the value of web archives as born-digital primary research resources are both explored. In addition to investigating the organisations involved and the scope of their web archiving programmes, the curatorial aspects of the web archiving process, such as selection of web content, the tools used and the provision of access and discovery services are also considered. Furthermore, general policies related to web archiving programmes are analysed. 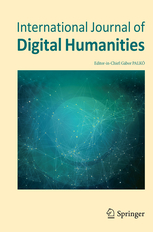 The article concludes by offering four important issues that digital scholars should consider when using web archives as a historical data source. Whilst recognising that this study was limited to a sample of only nine web archives, this article can nevertheless offer some useful insights into the technical, legal, curatorial and policy-related aspects of web archiving. Finally, this paper could function as a stepping stone for more extensive and qualitative research.